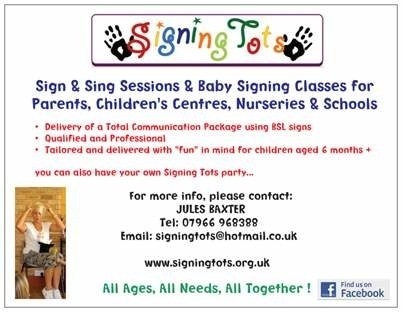 Signing Tots are announcing a new class at danesmoor House Day Nursery on Thursdays from 1:30pm in the family room. Classes cost £4 and involve, signing and singing. To book you can call Jules on 07966 968388.